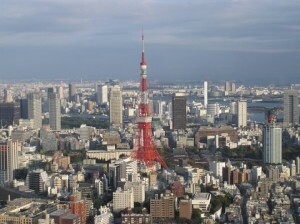 Tokyo Tower – television and radio communication tower located in Tokyo. One of the most popular characters of the Japanese capital. Its construction, which ended in 1958, carried a symbolic meaning rebirth of the Japanese nation as a strong, economically independent state. At the time of the completion of the Tokyo Tower was considered the tallest building in the world – 333 meters. At the height of her 13 meters inferior to the famous Eiffel Tower in Paris, according to the model which was constructed Tokyo. Under the rules of aviation security 1960. the tower was painted in orange and white color. 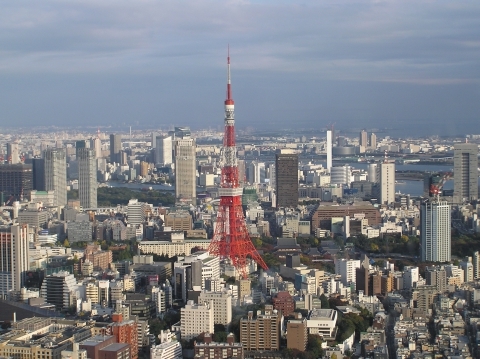 In 2011, when the Japanese TV officially switched to digital format, the height of Tokyo Tower was not enough for a successful broadcast in remote villages of the city center and high-rise skyscrapers. 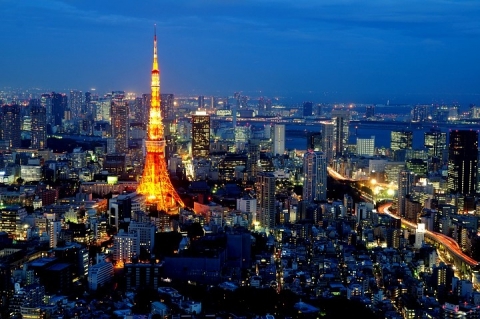 In this regard, it broadcast functions transferred to the Tokyo Sky Tree, the television tower, also known as the “tree of heaven” (where the antenna height is 634 m). However, Tokyo Tower remains a popular tourist attraction and a symbol of Tokyo each year it is visited by over 2.5 million people. Mostly tourists are attracted observation platforms, one of which is located at an altitude of 150 m, and the second -. 250 m in good weather since the first site have the opportunity to see Mr. Fuji. Tokyo Tower – Japan is a person of the Japanese capital, as well as the Eiffel Tower for Paris or the Empire State Building of New York. 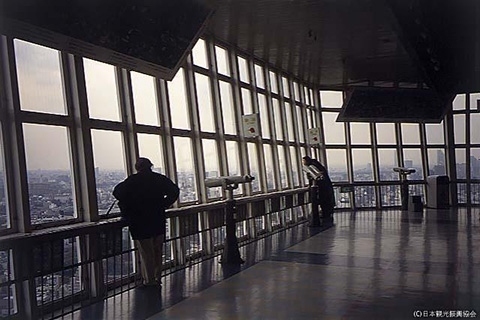 Often the view of the tower used in the anime – like game Magic of Knight Rayearth , Please the Save the My Earth , Cardcaptor Sakura , the Digimon , by Sailor Moon , and Death the Note , – and in films about monsters like Godzilla and King Kong. 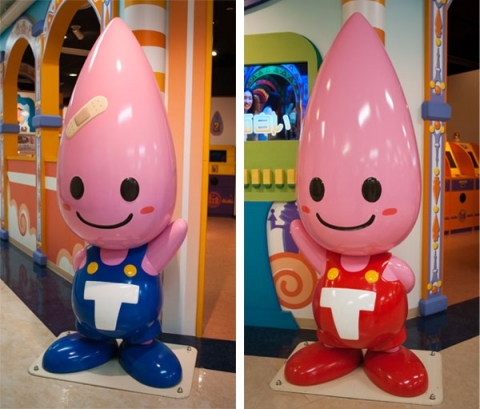 In 1998, on the occasion of the 40th anniversary of the Tokyo Tower had its own mascot (mascots) – Noppon brothers. One of them, an older brother, wears blue overalls and the second – the younger brother – red. At the foot of the tower there is a small 4-storey building, referred to as “Pozhnozhnym town”, on the first floor which is the Aquarium, reception, restaurant, souvenir shop and a lift for lifting in the observation platforms. On the second floor there are mainly souvenir shops and food court. On the third floor you will find the Museum of Guinness, and Wax Museum Tokyo Tower and Gallery of artistic optical illusions «Trick art».